All hail the Duchess of Cambridge. Like always, Kate Middleton captured the world's attention at Wimbledon All England Club in London, thanks to her flawless style and perfect blowout, debuting what some might consider as bangs. 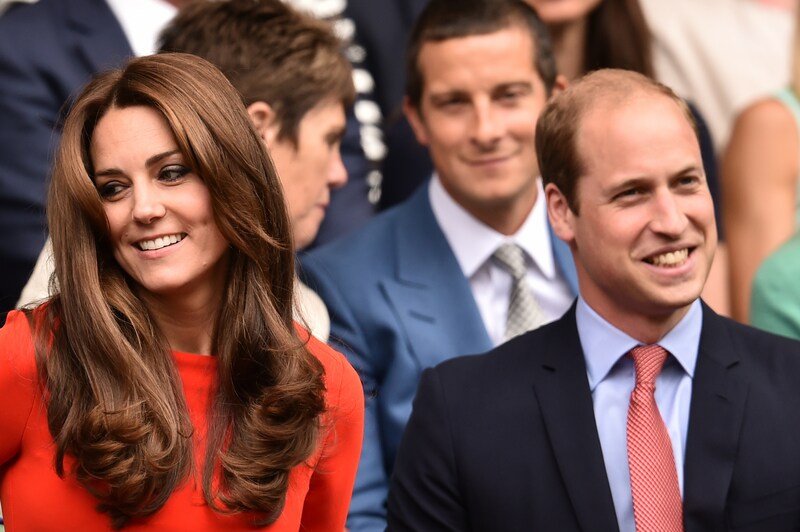 Kate Middleton wore a red LK Bennett Dress to watch tennis semi-finals, but let's face it, no one was watching the match. Just months after giving birth to Princess Charlotte, Middleton showed off her trim post-baby physique in a three quarter length sleeve, midi length red LK Bennett dress paired with a chic leopard print DVF clutch, and stylish Cartier watch and a bouncy blowout. The LK Bennett dress sold out within a matter of hours, just like everything the stylish mom-of-two wears. Middleton, who is known for her long, typically one length locks, has been a little experimental with her hair these days. She appears to have cut some face framing fringe, which she hasn't done since before Prince George was born. A few days earlier, Middleton rocked a pretty elaborate updo to her daughter's christening, along with a cream coat dress by one of her favorite designers, Alexander McQueen. Her sister Pippa wore a coordinating ensemble to the christening, but I think it's safe to say that Kate has managed to keep the spotlight on herself (at least since the wedding).